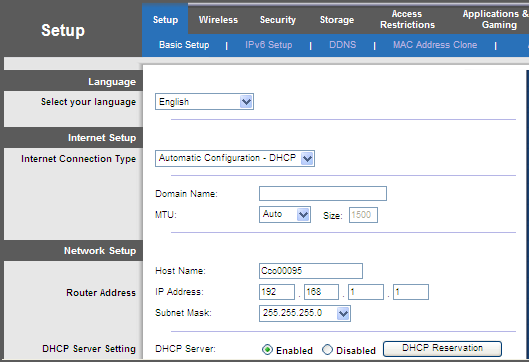 The Advanced settings in the Linksys Connect software allows you to access and configure the advanced features of your router including port forwarding, enabling the SPI firewall, and cloning MAC addresses. IMPORTANT: If you are using an older version of this software, changing the wireless settings using the web-based setup page will prevent you from using it. 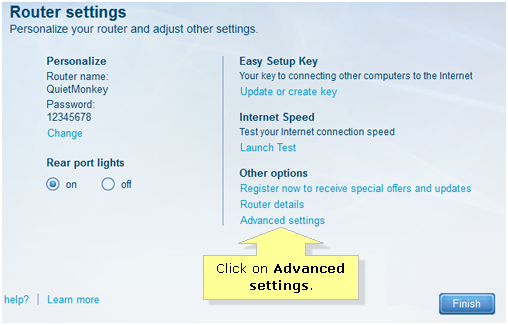 It is recommended to change your wireless settings through the Linksys Connect software. The latest software can be downloaded from your product's support page via the Linksys Support Site. For instructions, click here. If you have the Linksys cloud account for Smart Wi-Fi Routers, click here. Launch the Linksys Connect software. For instructions, click here. Click Advanced settings under Other options. On the Advanced settings page, click Copy password for easy pasting later. Click OK on the The password has been copied to the clipboard. pop-up window. When the Warning pop-up window appears, make sure that you have read and understood its contents, then click OK to proceed. 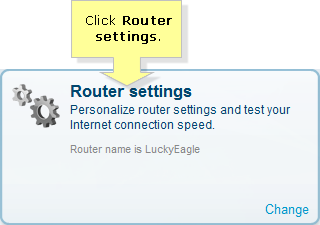 You should now have accessed the Advanced settings of your Linksys router.